The educational materials are aimed at teachers in schools, clubs, NGOs and others who want to bring anti- discrimination to the classroom. 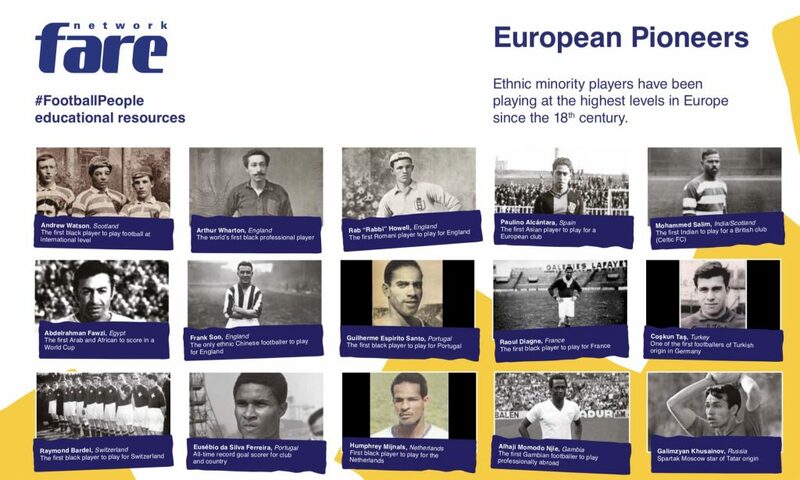 The low-threshold and activating approach used in the materials deals with discrimination in football, advocates diversity and encourages people to act against exclusion. The target group for the resources are young people between the ages of 14 and 18. The kit offers four different methods that raise young people’s awareness of discrimination and encourage them to promote diversity and equality in football. The building blocks can be used individually or combined and adapted to the needs of the respective learning group. Educators can design sessions between 45 minutes and up to two project days. If you are involved in working with or teaching children you could use these resources to help educate your class on diversity, discrimination and social inclusion using the techniques and guidelines in the resource pack. Piara Powar of the Fare network said, “We believe in the idea that hatred of difference, be it racism, homophobia, or disregard of the disabled, are things that young people learn, they are not born to hate. We think these resources can be used to counter prejudice and spread positive ideas of diversity. The resources have been launched in English and will be made available in German. They were produced in conjunction with the renowned agency Kooperative Berlin agency. To download your education diversity toolkit click on the images below. To view or download the European and Global Pioneers resources click on the second image below. The pack consists of two parts and you will need to download both the lesson plans and the pioneers. 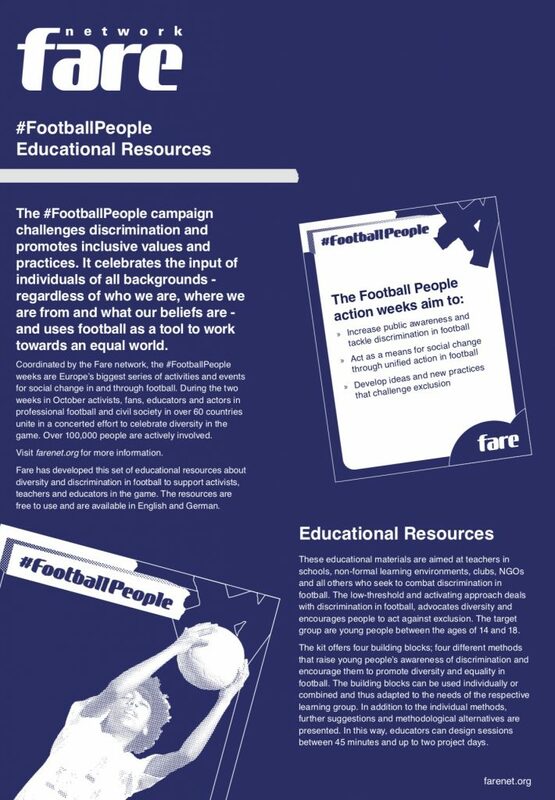 Use them during the #FootballPeople weeks with your class and tag us on social media @farenet on Twitter or Instagram.